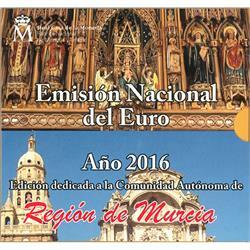 Home > eurozone > spain > mint sets > 2016 Spain 9-Coin EURO Brilliant Uncirculated Set "Murcia"
2016 Spain 9-Coin EURO Brilliant Uncirculated Set "Murcia"
This coin set from Spain contains the eight standard circulating issues in the euro range, as well as the commemorative €2 featuring the Aqueduct of Segovia. 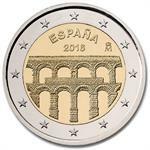 In addition, the set comes with a Sterling Silver medal featuring the region of Murcia. 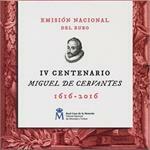 Each set comprises the Spanish Euro circulation coins of the issue year together with a silver medal depicting the coat of arms of the autonomous region or city on its obverse, and the mint mark of the Royal Spanish Mint and the year of issue on the reverse. As usual, the coins are mounted in blisters on a plastic card. 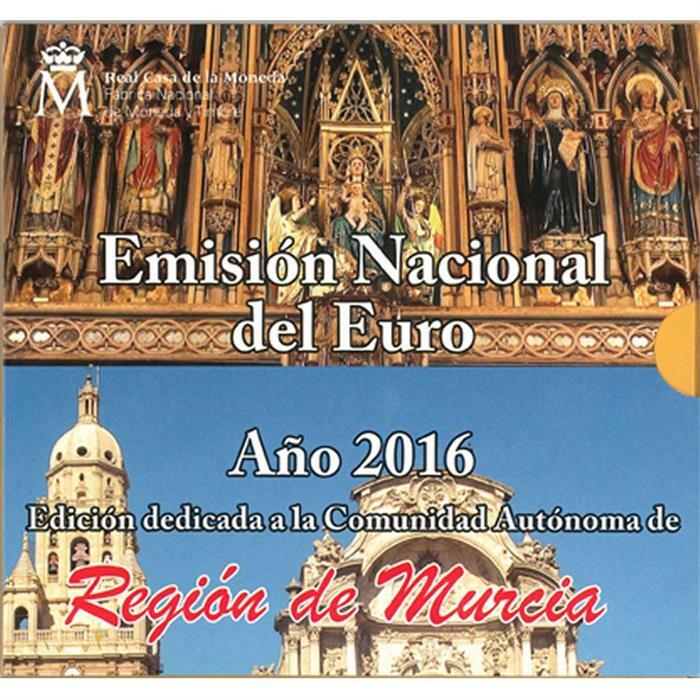 Starting in 2008, the card is fitted in a cardboard folder and is also accompanied by important information regarding the featured autonomous city or region. 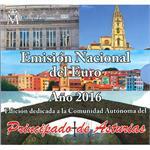 2016 Spain 9-Coin EURO Brilliant Uncirculated Set "Asturias"
2016 Spain 9-Coin EURO Brilliant Uncirculated Set "Basque Country"